Create your own version of a mid-century inspired desk in one afternoon using inexpensive IKEA basics, plus a few things from your local hardware store. 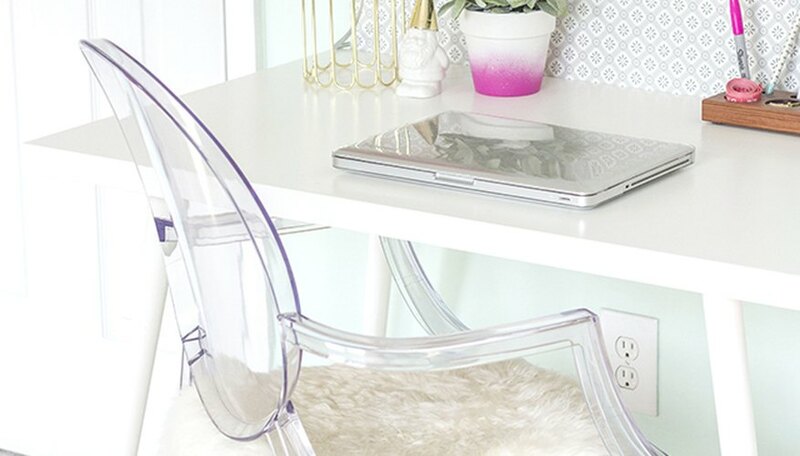 Create your own version of a retro, mid-century inspired desk in just one afternoon using inexpensive IKEA basics, plus a few things from your local hardware store. 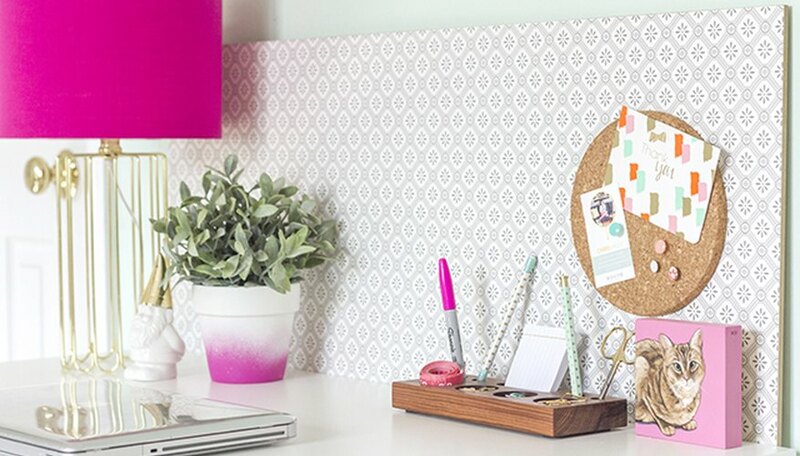 With this DIY tutorial, you'll be able to customize the look and enjoy the benefits of workable tabletop and backer board surfaces in your studio or office. 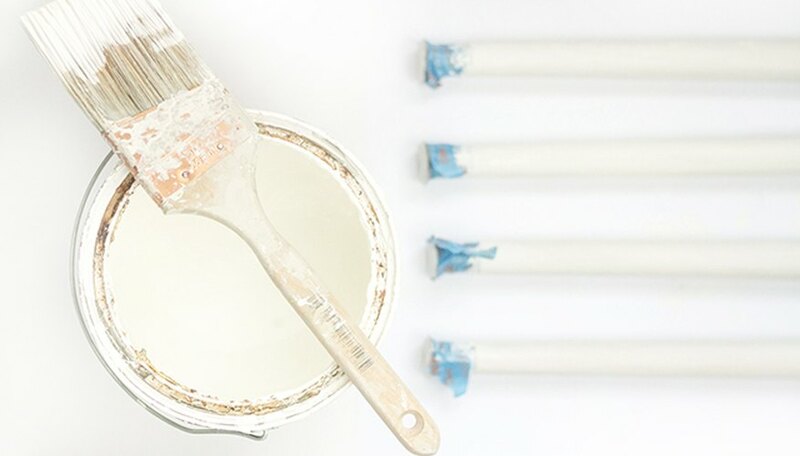 Wrap the metal ends of each of the tapered table legs with painter's tape. This will keep paint from getting on the metallic surface and will provide you with a clean edge in the next step. 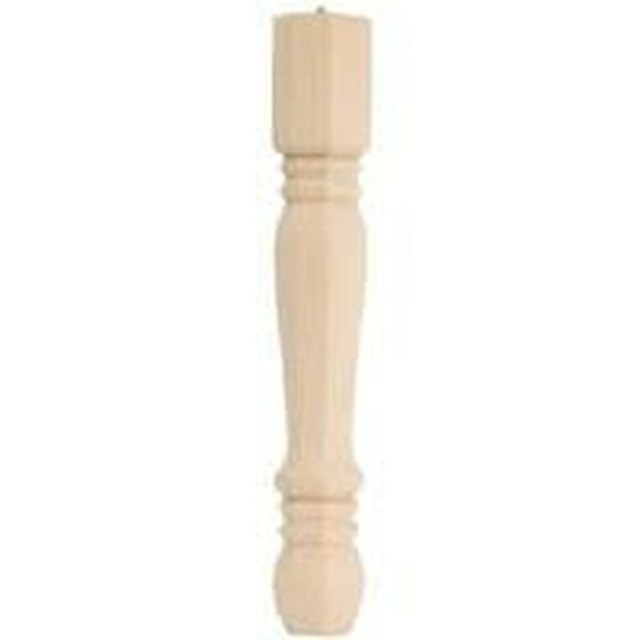 Use an angled paint brush to coat each of the table legs with white paint. 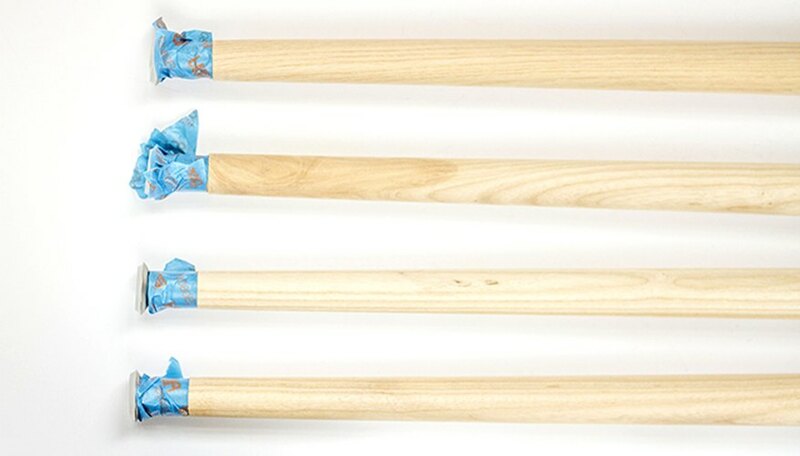 You will need to brush on 3-4 coats of paint, waiting 30 minutes between each coat, to cover the bare wood underneath. After the final coat, immediately remove the painter's tape, and allow the paint to cure for three hours before handling. Move on to the next steps while you allow the legs to dry. Flip your IKEA tabletop upside down on a flat surface so that the underside is facing you. 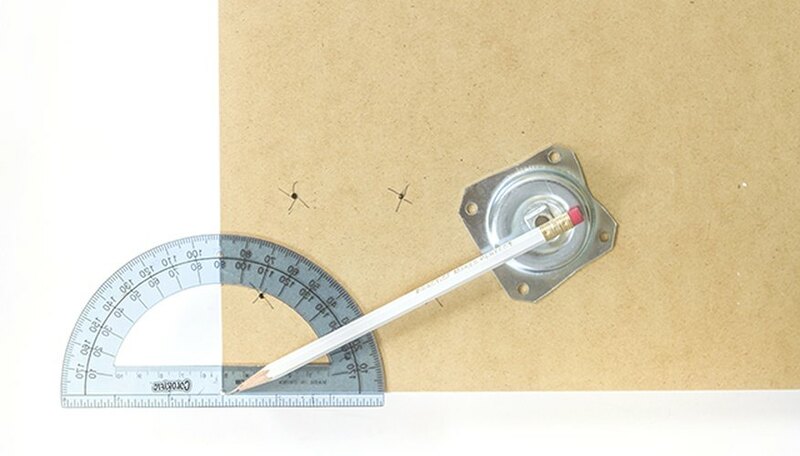 Lay a protractor in one corner of the table and place your first angled top plate down on the underside of the tabletop so that the angle is facing the corner. Rotate the top plate until it's facing the corner, and then adjust until it's turned roughly 30 degrees towards the tabletop corner. Use a pencil to help you align the plate. Cross out the pre-drilled holes that come on the IKEA tabletop. These will be ignored for the purposes of this custom DIY build. Once the angle has been determined and confirmed, use a ruler to make sure that the top plate is 4 inches in from the sides of the tabletop and 2 inches in from the front and back. Readjust the 30-degree angle if needed using the compass again. Mark through the holes in the top plate with a pencil, and set the top plates aside until the next step. 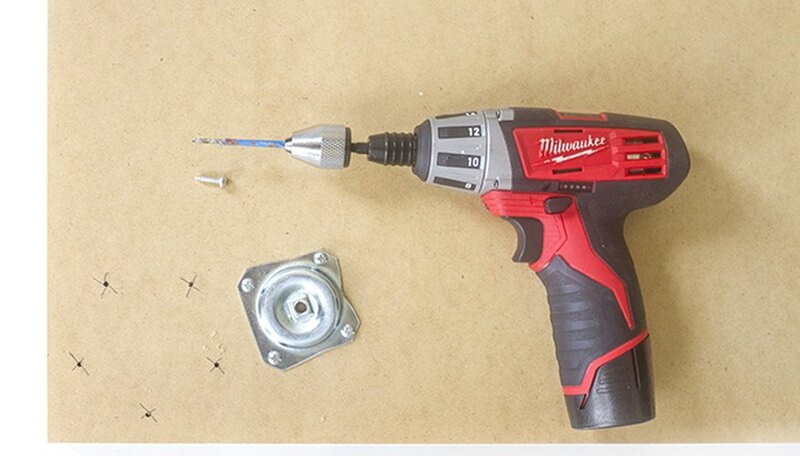 Drill holes for the hardware using a drill bit that is coordinated to the size of your particular top plate screws. Finish by attaching the hardware to the underside of the tabletop with your electric screwdriver. Repeat the steps on all four top plates in each of the four corners. Screw the painted table legs into the top plates once the paint is dry. Prevent your drill bit from sinking too far into the underside of the tabletop by measuring your preferred depth on the end of the bit, and then wrap a piece of painter's tape to the bit to mark that depth. For the backer board portion of this DIY desktop build, you'll need to add three corner braces to the underside of the tabletop. To do so, measure 8 inches in from the side of the tabletop and lay your corner brace on the wood. **Although the corner brace is shown pictured here angled downward, you'll want to screw it into the tabletop the opposite way in the next step. ** For the purposes of marking the holes, you don't need to worry about the orientation of the brace. With the brace in place, also measure so that there is a 1/4-inch gap between the bend in the brace and the edge of the tabletop. This gap will be where you slip the backer board in place in a later step. 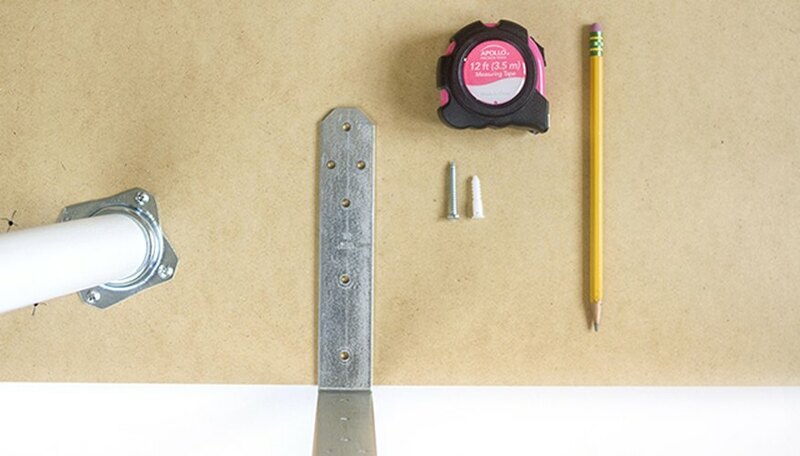 Once measured, make marks through the corner brace holes with a pencil. Repeat the steps with the second corner brace aligned 8 inches in from the opposite side of the table, and the third corner brace situated right in the center of the table, or 9 inches from the other braces. Set the corner braces aside and drill the marked holes using a drill bit coordinated to match the size of the screws that come with your braces. For added support, you may want to consider using plastic drywall anchors to hold the braces in place. In that case, coordinate your drill bit to match the size of the plastic anchors instead. Finish by flipping the desktop over and screwing all three corner braces into place with the outward angle facing up towards the top edge of the desk. 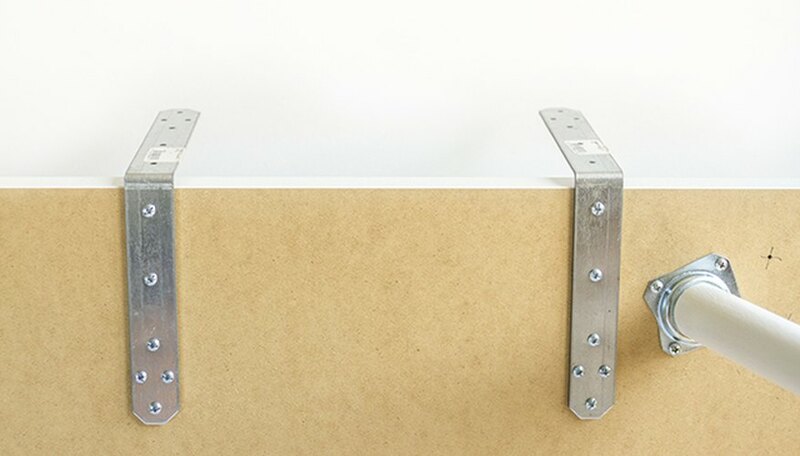 Add a line of super hold glue to the upward protruding metal brackets, and quickly slip the wooden backer board into place. Hold for 30 seconds so that the glue has a chance to cure. 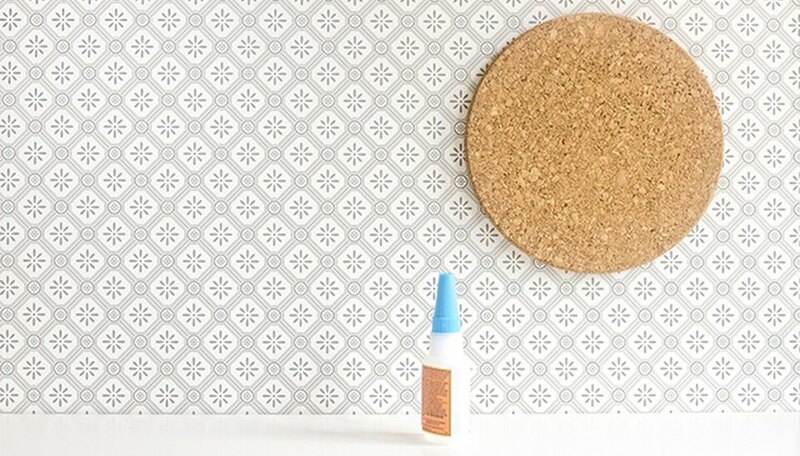 Flip your cork trivet over and squeeze a generous amount of super hold glue onto the cork. Quickly lift and hold in place—wherever you choose—on the backer board. Hold it in place for 30 seconds as well so that it properly adheres to the backer board. 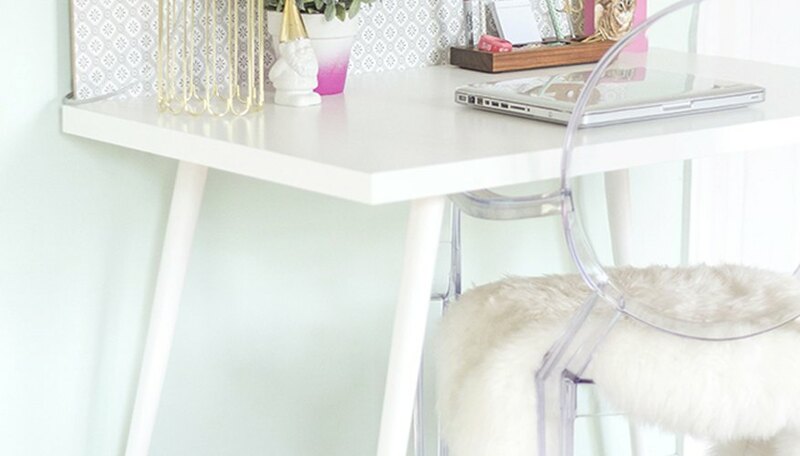 Finish the entire desk with a lamp and your favorite office supplies. 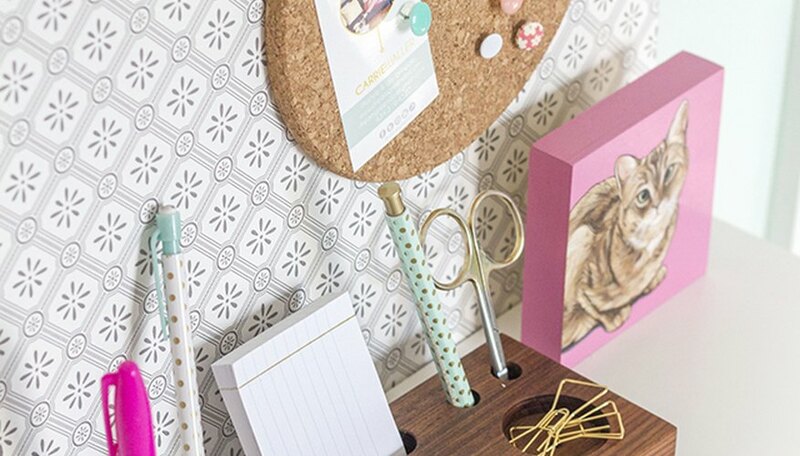 To find out how to make your own DIY wooden desk caddy like the one shown here, visit [this eHow post](http://www.ehow.com/how_12341066_make-modern-desk-organizer-block-wood.html?utm_source=carriewaller&utm_medium=contributor&utm_campaign=blognetwork) for the step-by-step tutorial. 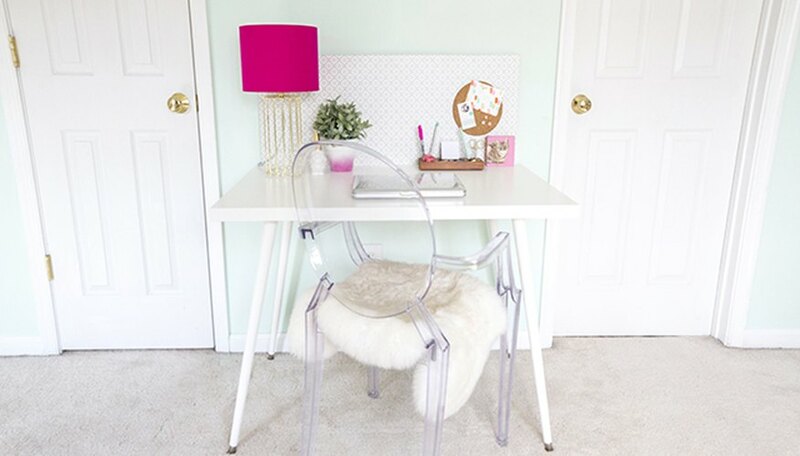 Carrie Waller is the blogger and stylist behind Dream Green DIY. Her work has been featured in "Better Homes and Gardens," "Design*Sponge," and "Apartment Therapy." Waller holds a Bachelor of Arts from Christopher Newport University in studio art and art history.